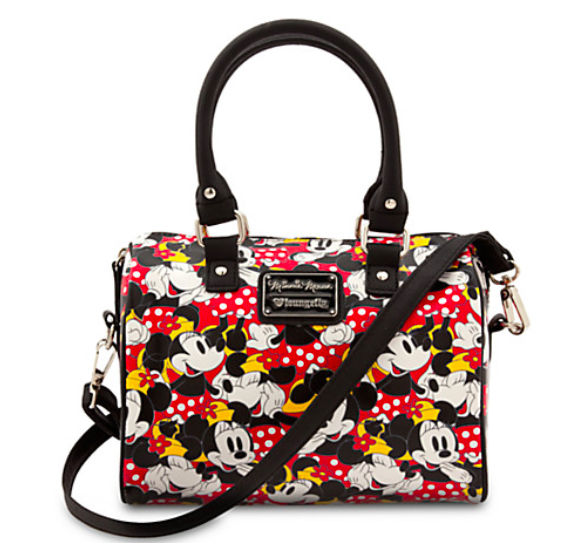 Disney has announced a new addition to their Dooney & Bourke collection, just in time for you to spiff up your summer wardrobe. 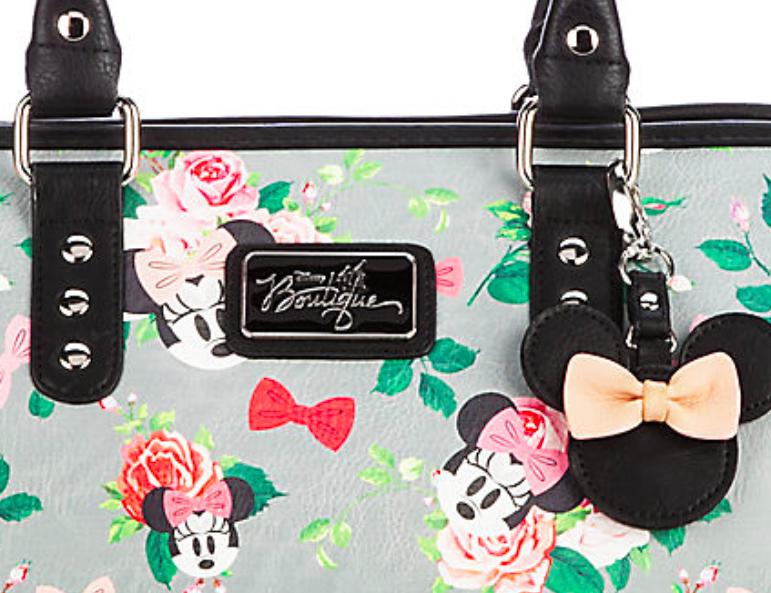 Keys are a big deal in fashion and jewelry these days, and now they are featured on a Disney Dooney along with icons representing your favorite princess characters. 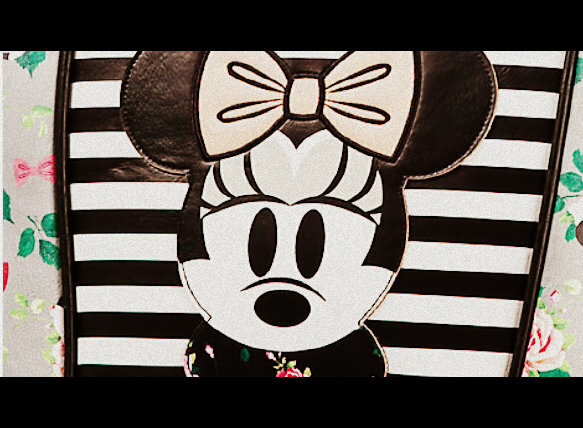 Spending hundreds of dollars on a handbag definitely isn’t a cheapskate move, but taken care of properly, these totes and wallets can last 10 years or more. 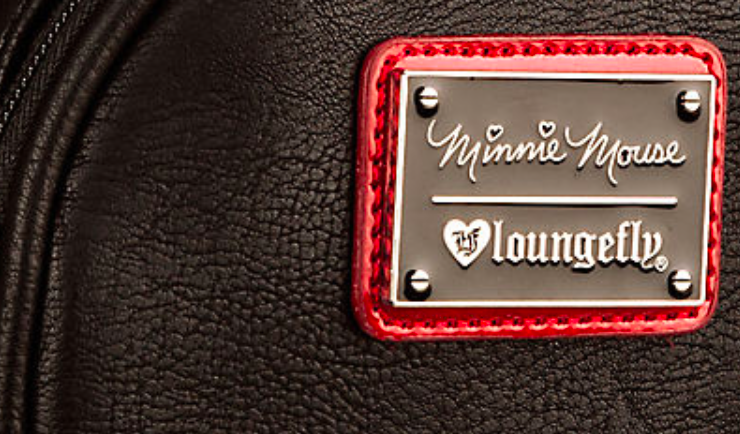 Sometimes bringing home an expensive souvenir, which we call a Cheapskate Princess Extravagance, pays off financially through years of use and enjoyment. 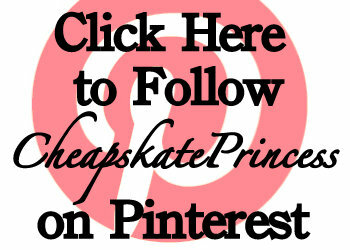 Ready to see the new handbags and some prices? 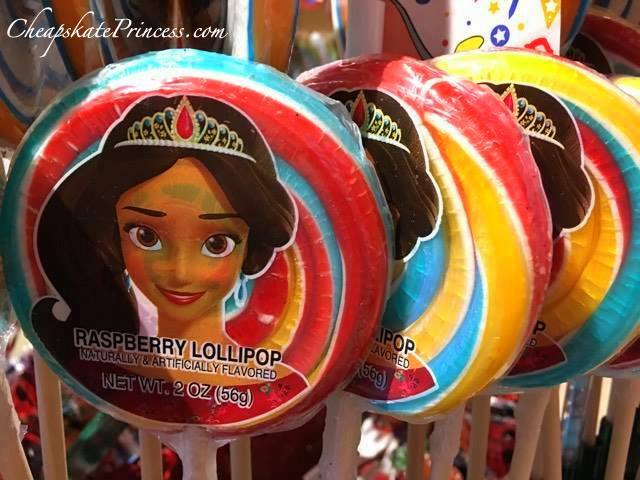 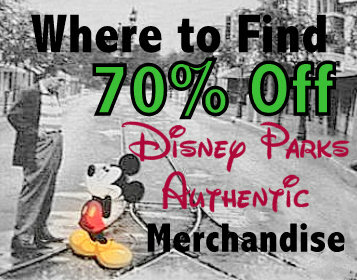 You can’t escape merchandise at Walt Disney World. 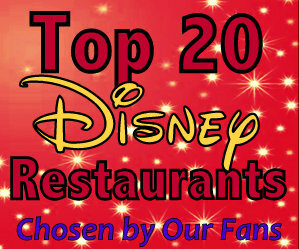 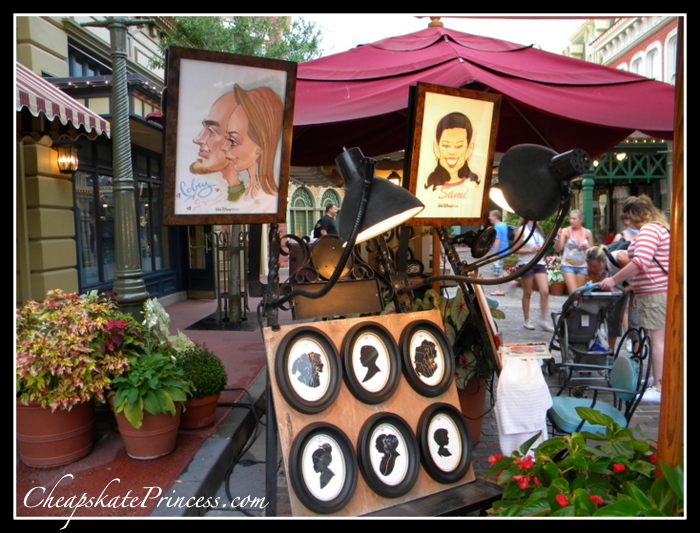 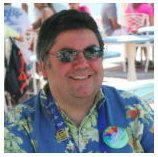 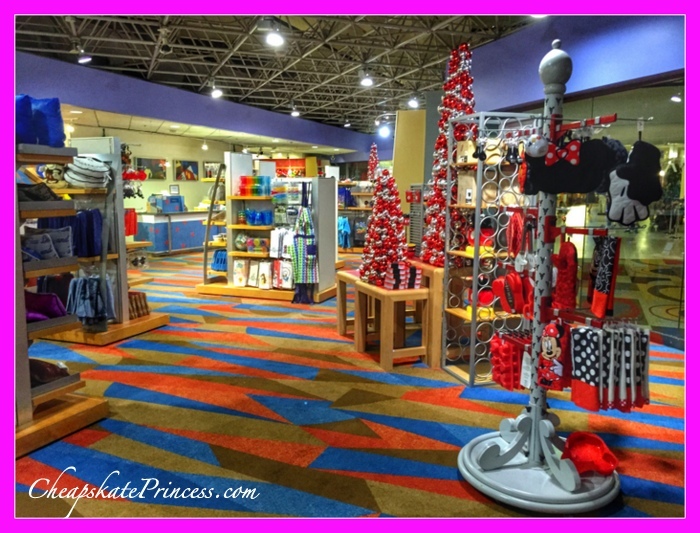 There’s a gift shop or shops in every resort, and most rides deposit you into a room filled with Disney charactered-merchandise ready and available for purchase. 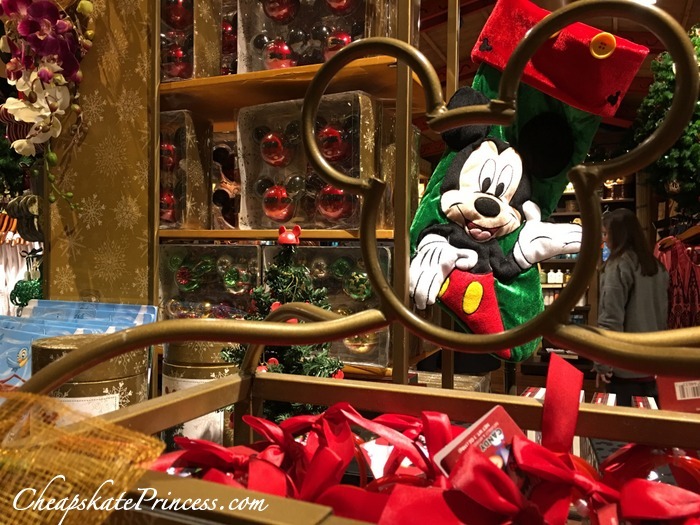 Window shopping in the gift shops during the Christmas season is a visual feast for the eyes, and actual shopping can lead to some memorable purchases. 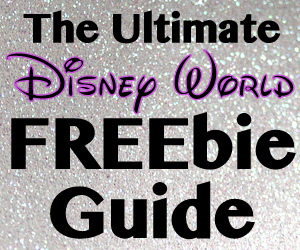 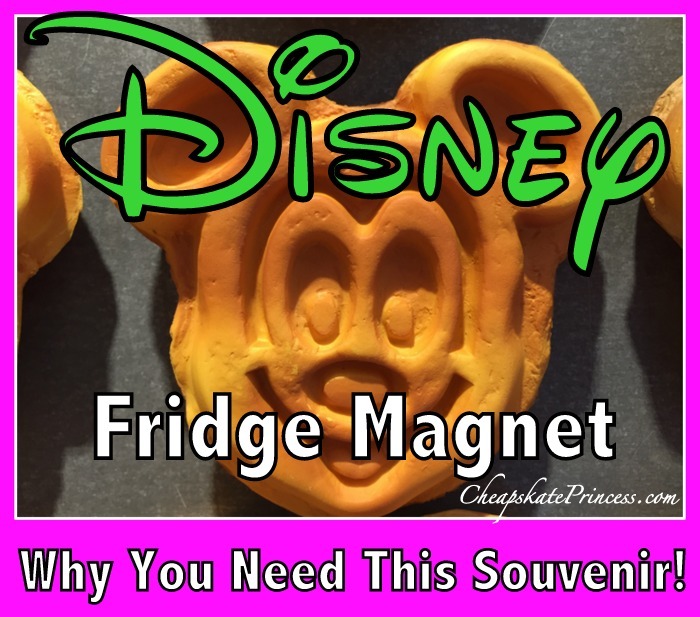 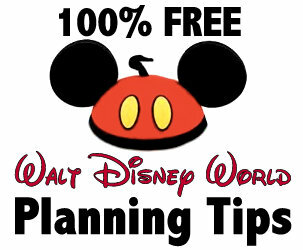 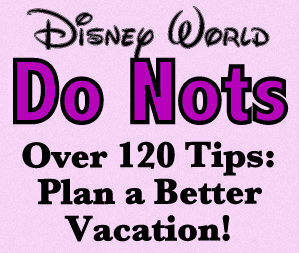 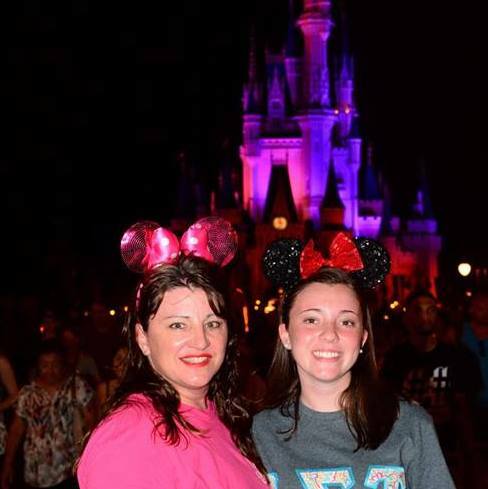 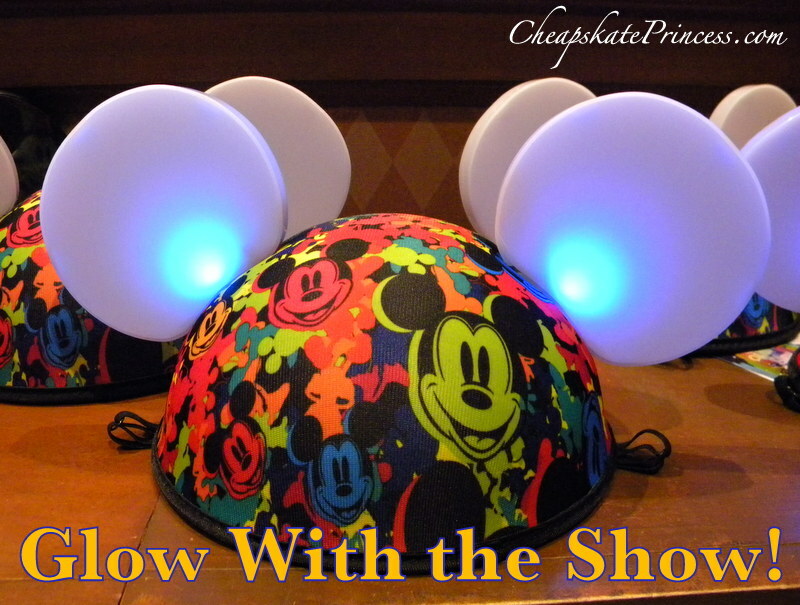 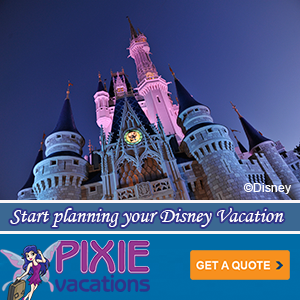 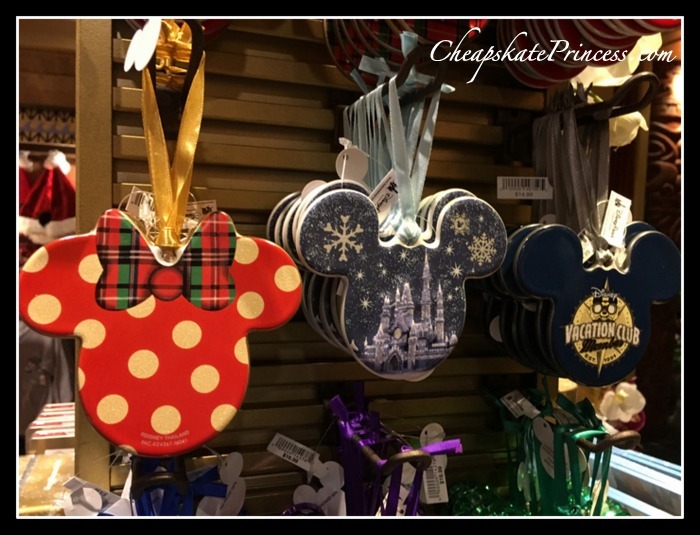 Now every Disney vacationer will have a favorite item to bring home, but we like to suggest items that you can use for years after your vacation ends. 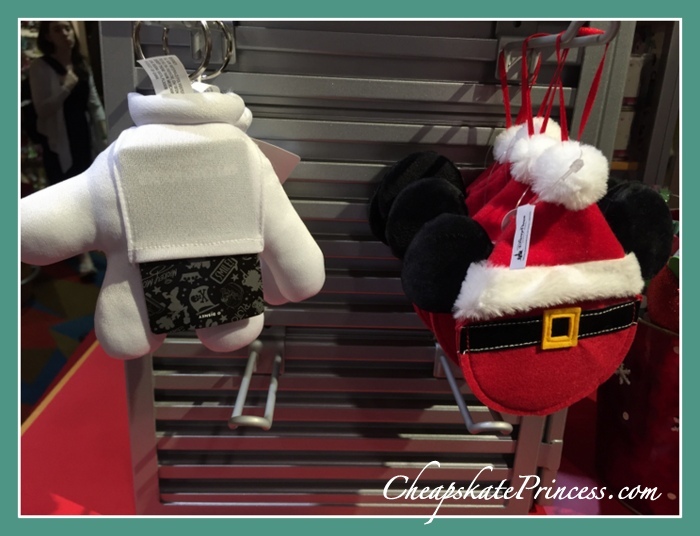 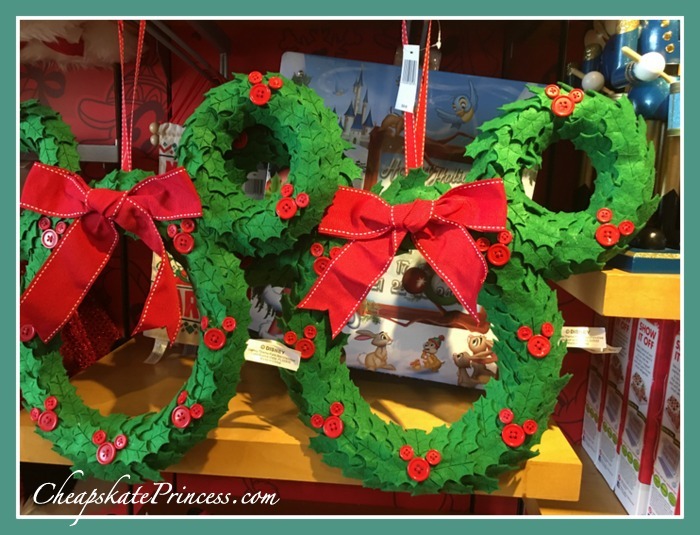 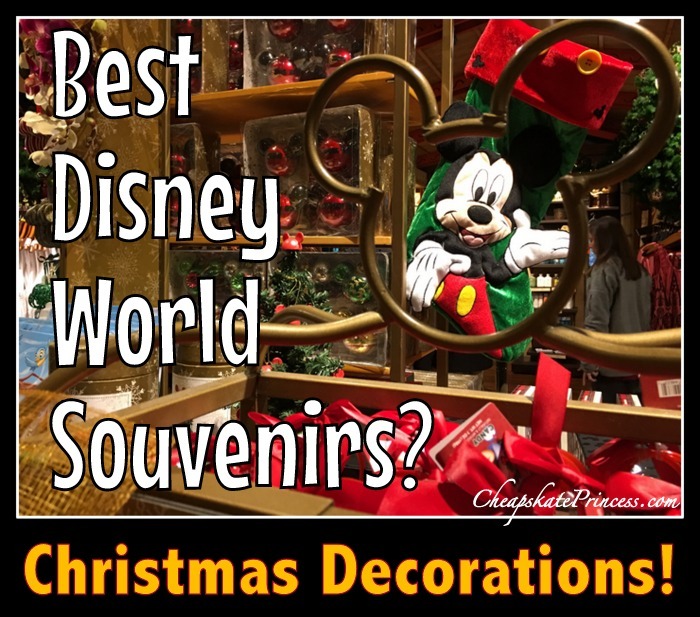 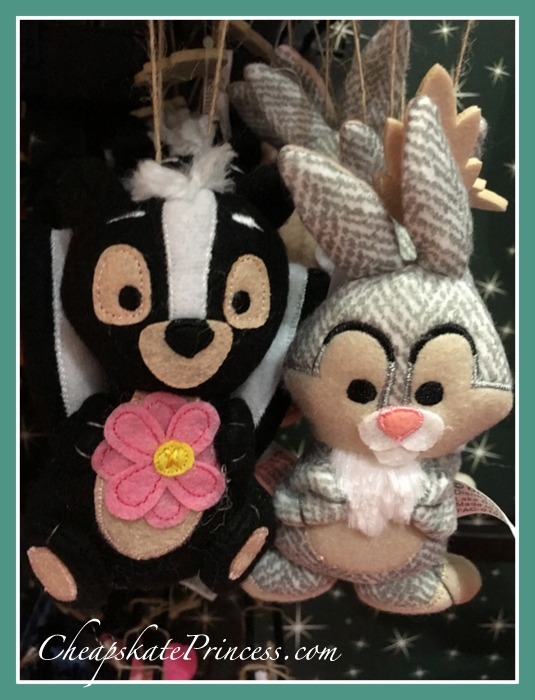 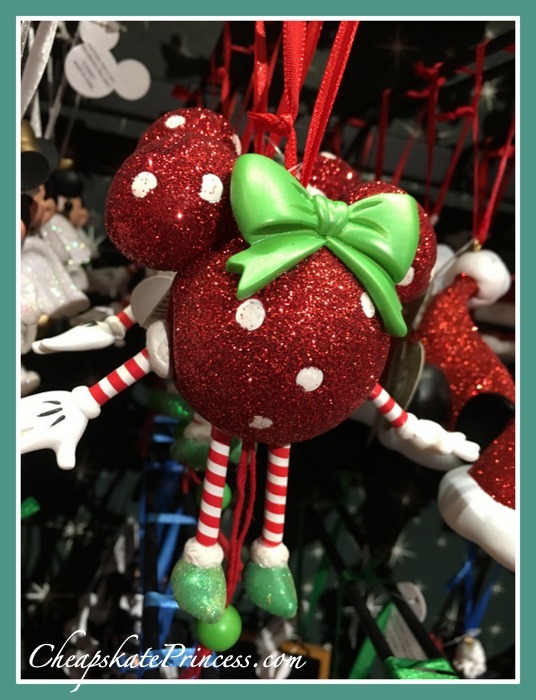 Christmas ornaments are certainly not the cheapest items for sale at WDW, but if you take good care of them, they are high quality enough to be passed down to your children one day. 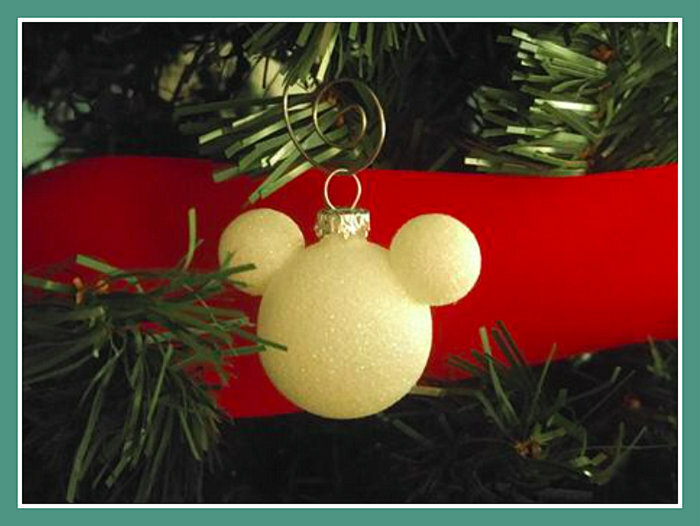 Plus the cuteness level for ornaments is through the roof. 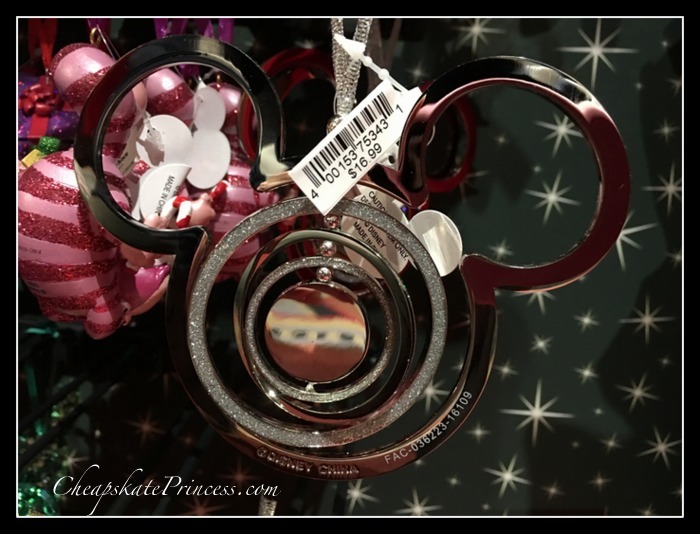 What better way to celebrate baby’s first trip to Disney than with a Mouse ear ornament?! 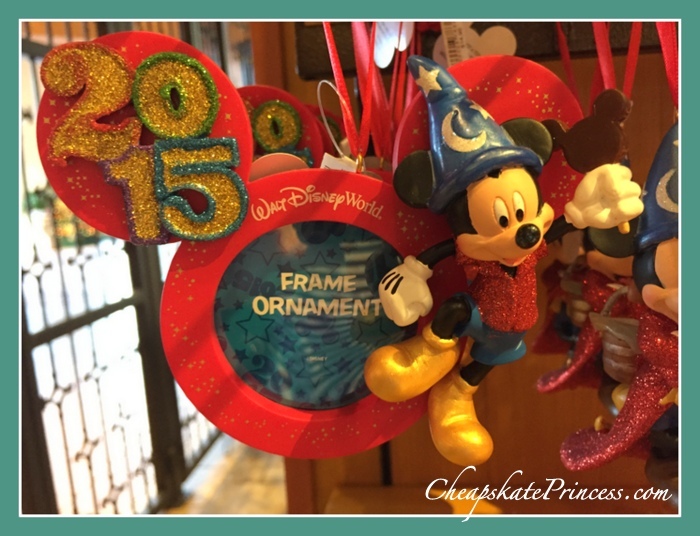 Several parents I know purchase a dated ornament for every year they travel. 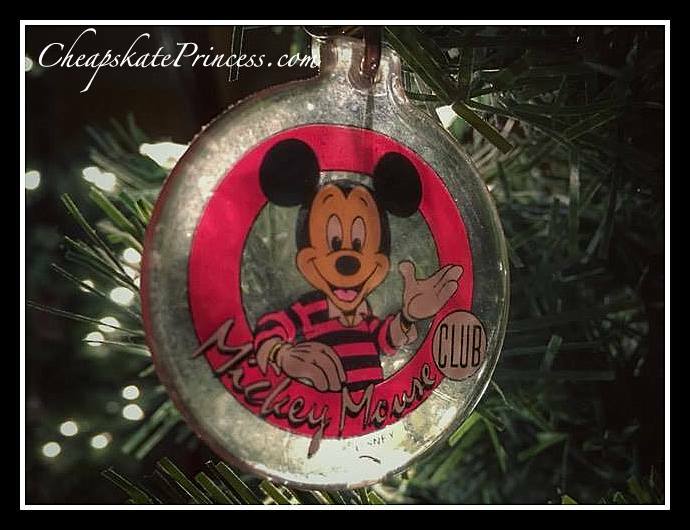 Cheapskate Princess.com reader Elizabeth sent us a picture of one of her ornaments. 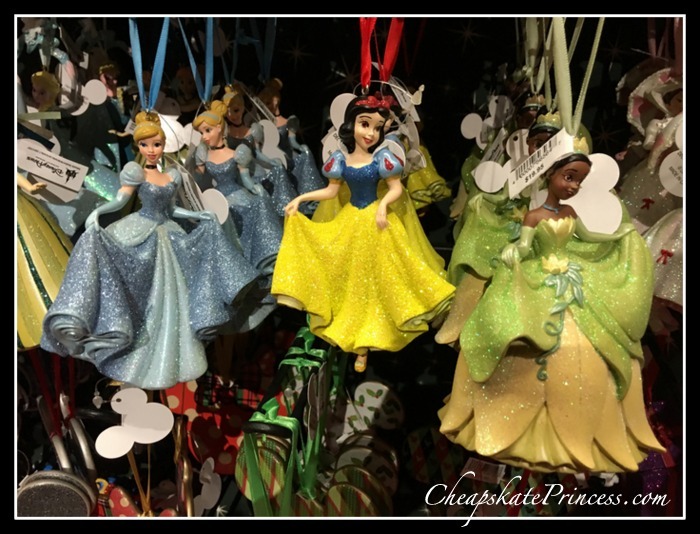 Longtime Cheapskate Princess.com reader Melanie reminded us that you can purchase Christmas ornaments and decorations all year ’round. 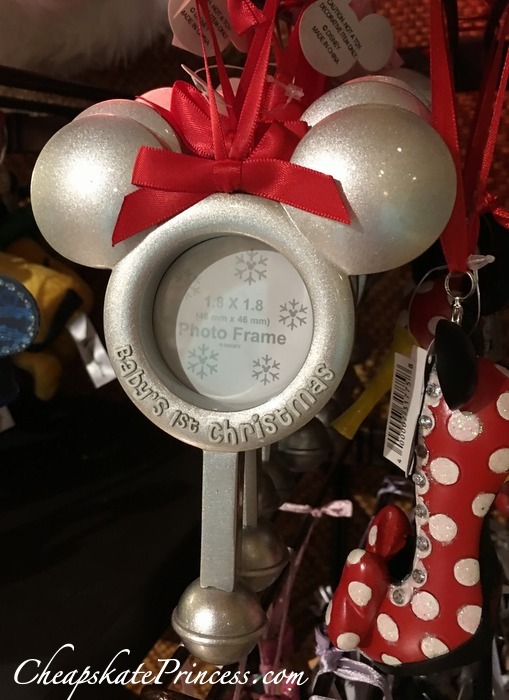 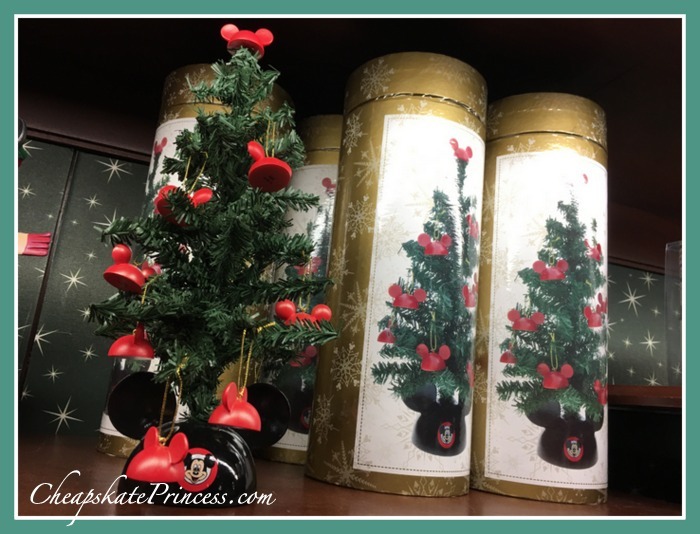 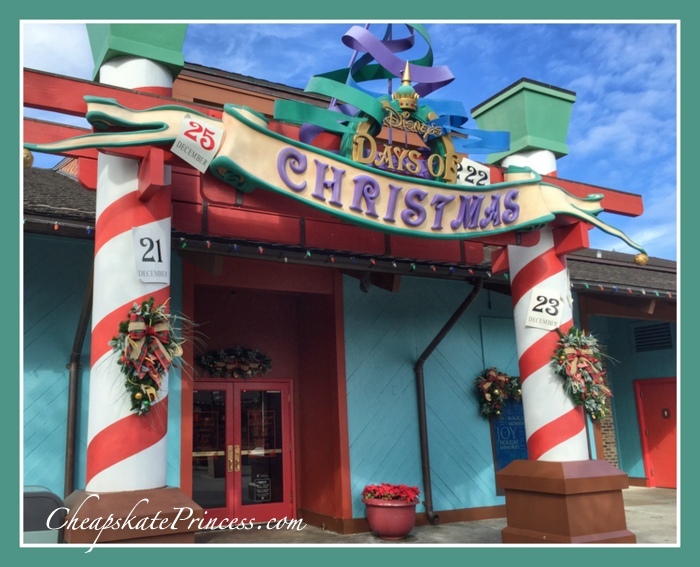 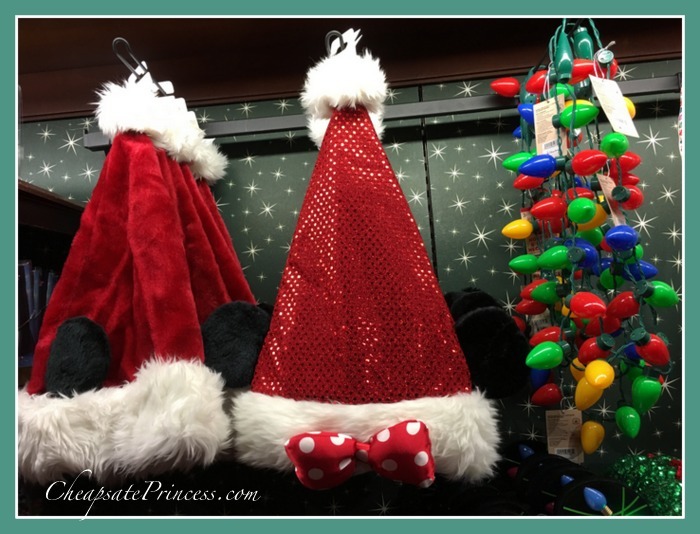 “We buy Christmas ornaments at Ye Olde Christmas Shoppe in Magic Kingdom.” There is also a shop at Disney Springs as well called Disney’s Days of Christmas. 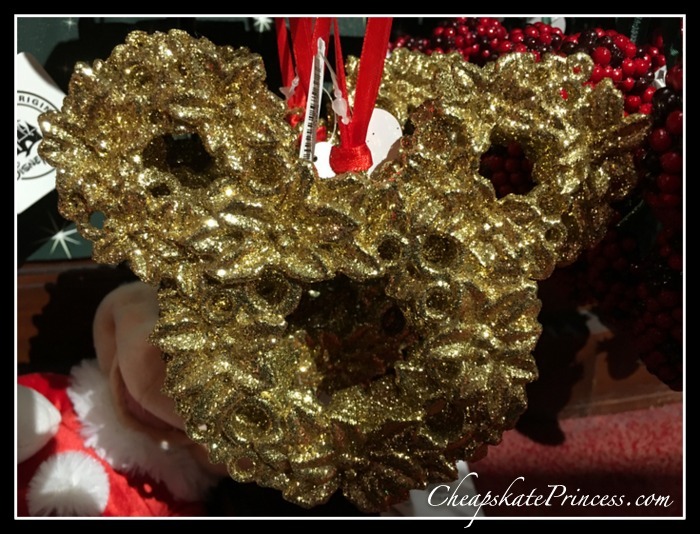 To buy or not to buy – that is the question! 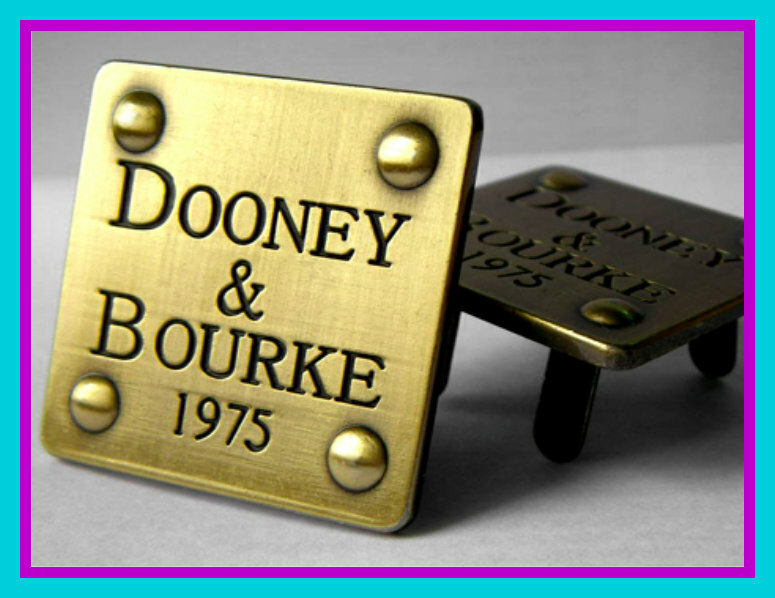 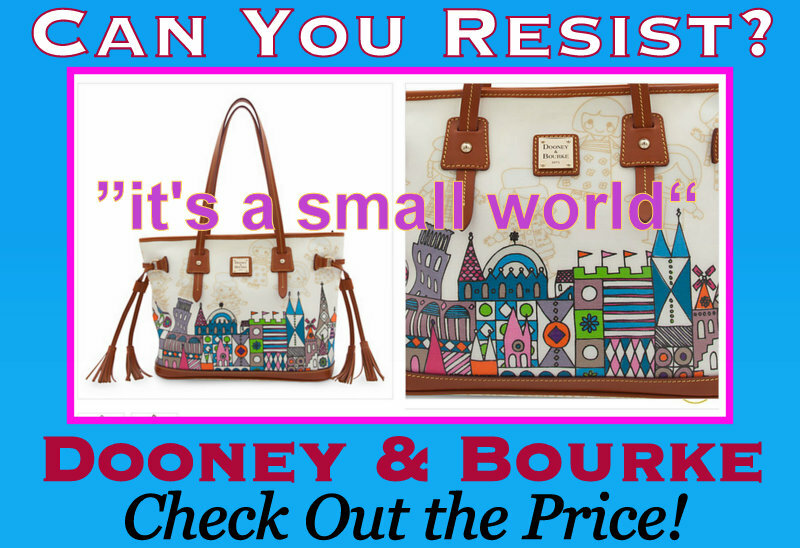 If the word “cheapskate” is a part of your vacation vocabulary, well, then perhaps the words “Dooney & Bourke” are not. 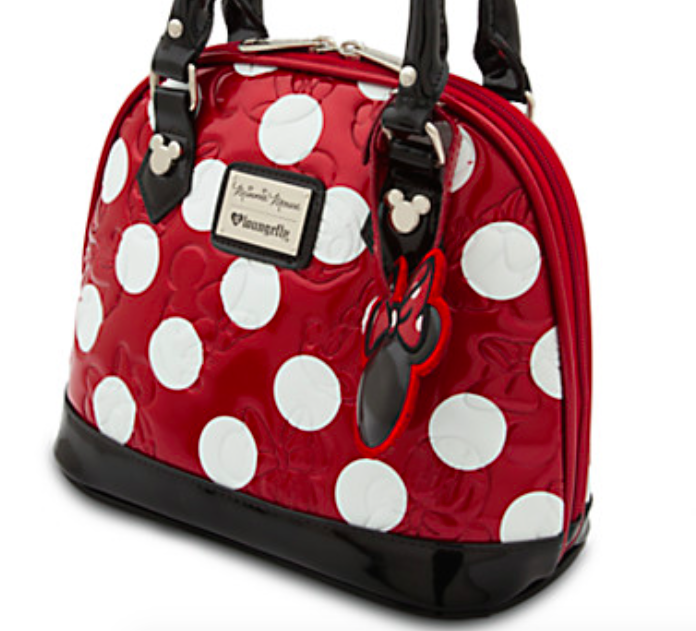 Their handbags are simply fabulous, but the prices are unfortunately out of many souvenir budgets. 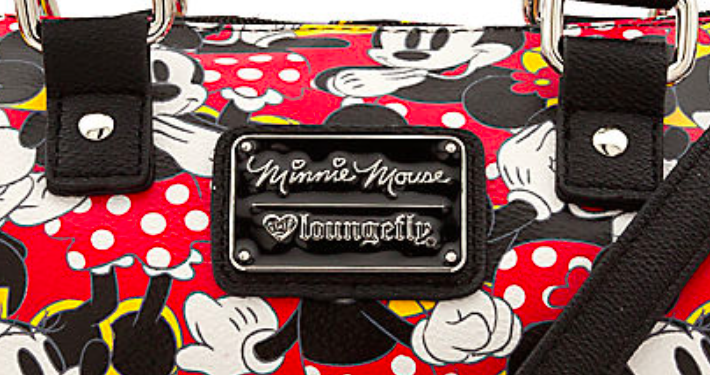 If you just can’t set aside $200-$300 for a real Disney Dooney, then perhaps the handbag designer name “Loungefly” should become a word you are familiar with. 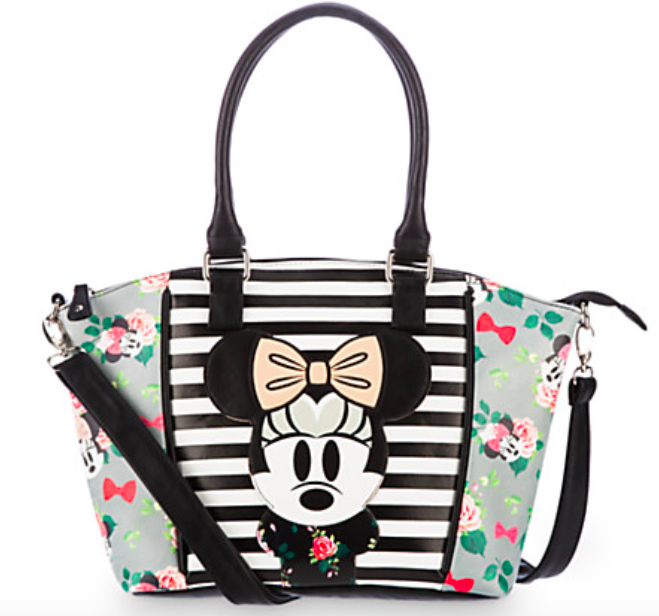 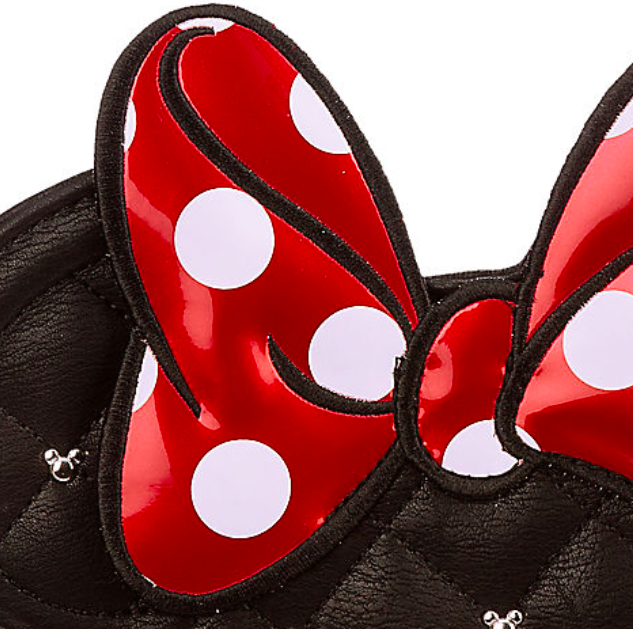 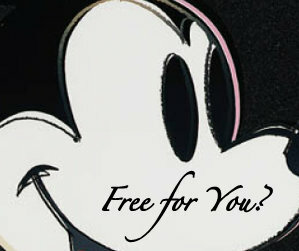 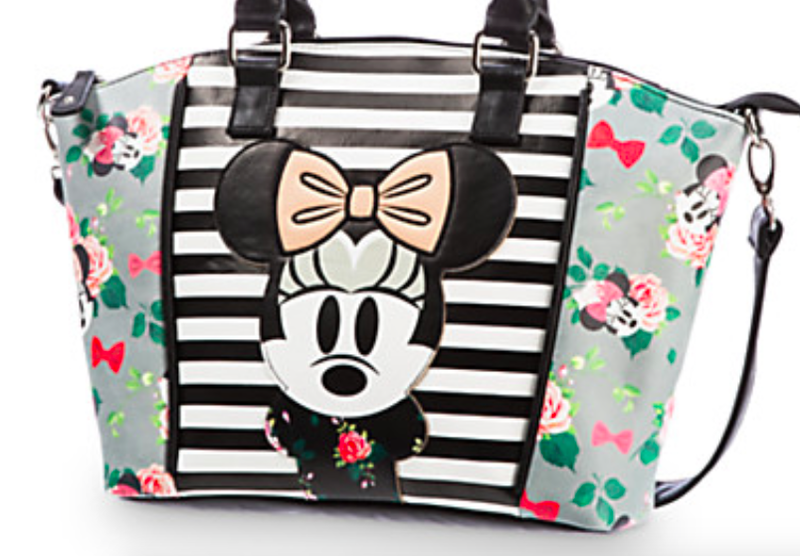 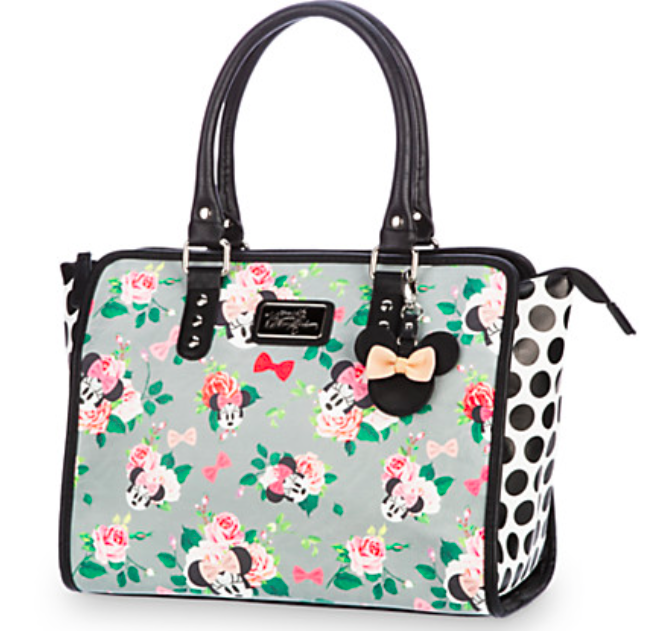 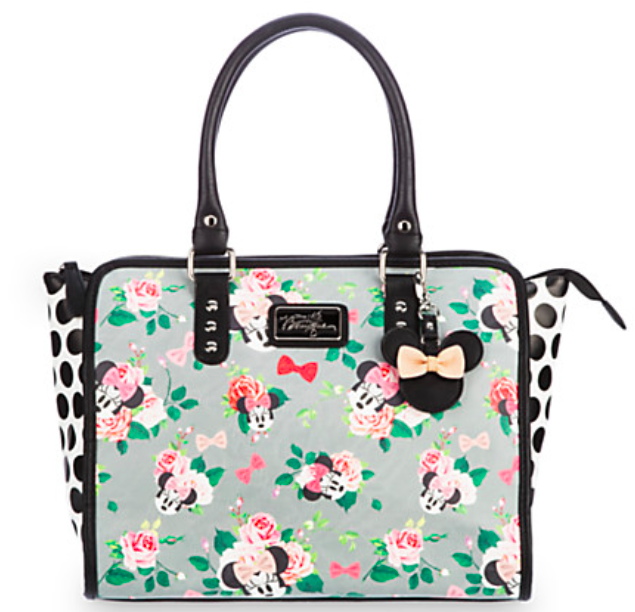 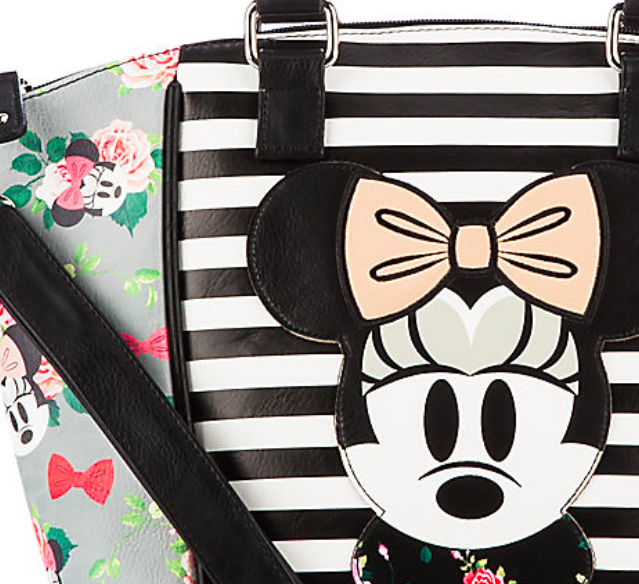 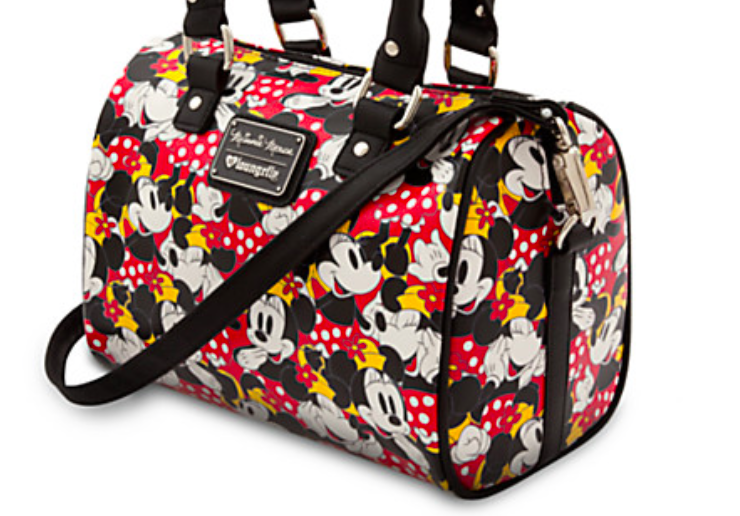 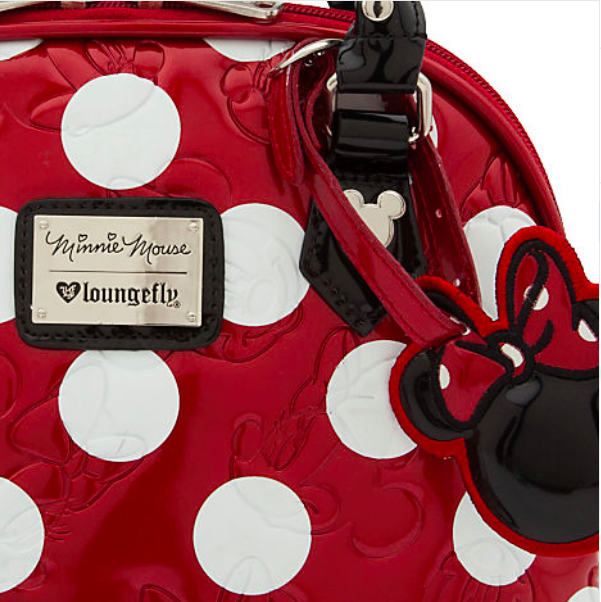 Because Loungefly can deliver really adorable handbags with a Disney World flare at a fraction of the cost of a Dooney. 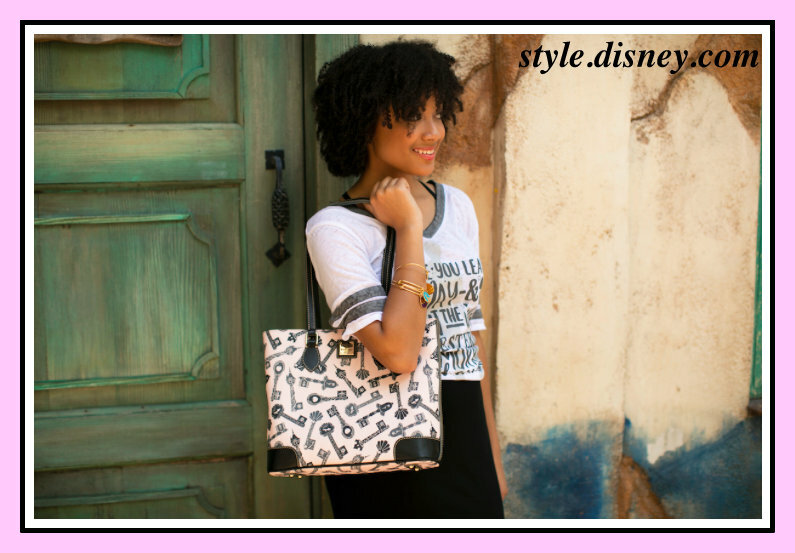 While these styles are no longer for sale in 2018, you can get an idea regarding how much you’ll pay for Disney handbags that are less expensive than Dooney & Bourke Handbags. 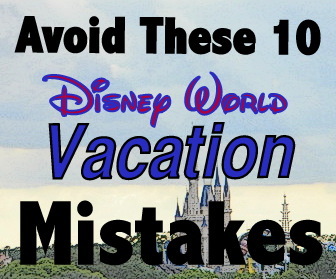 And if you are heart broken you will be unable to make a purchase, I would definitely try eBay to see if someone has a gently used version for sale. 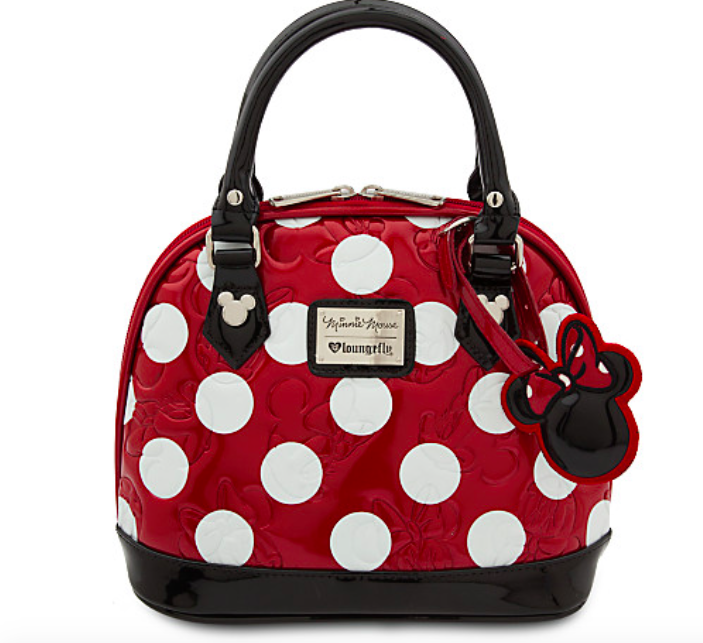 Thanks for stopping by, and we’ll see you in the gift shops, comparing handbag prices and doing some mental math!